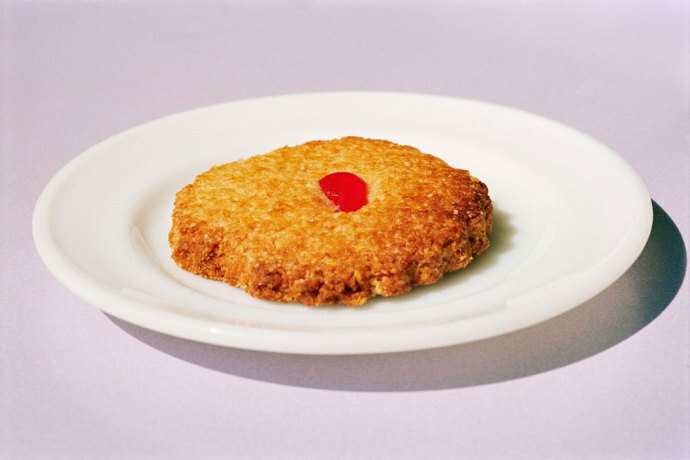 It’s a dessert, it’s a condiment, it’s a breakfast staple. Yogurt can be consumed in a myriad of ways; there also exist several variations of yogurt around the world that differ dramatically in taste and texture. It all begins with milk—be it from a cow, sheep, buffalo, donkey, or goat. In standard western forms of yogurt, the art of yogurt-making begins by heating milk to 85°C and holding for 30 minutes or at 90°C for 10 minutes. Applying heat denatures the whey protein, lactoglobulin, and plays a pivotal role in determining the yogurt’s final creamy texture. Without this protein denaturation, the milk proteins won’t set together in an organized matrix, but will instead cluster together and form curds. In the second phase, fermentation, milk is first cooled to a temperature within the range of 30°C-45°C, a range well tolerated by the microbes that play a role in fermentation. Traditional yogurt-making in the western world relies on bacterial cultures containing Lactobacillus bulgaricus and Streptococcus ther­mophilus, which can be directly added to milk in the form of a packaged starter (similar to yeast) or taken from a previously-made batch of yogurt. The bacteria then convert the milk sugar, lactose, into lactic acid, which firms the yogurt and provides it with its tart and tangy taste. 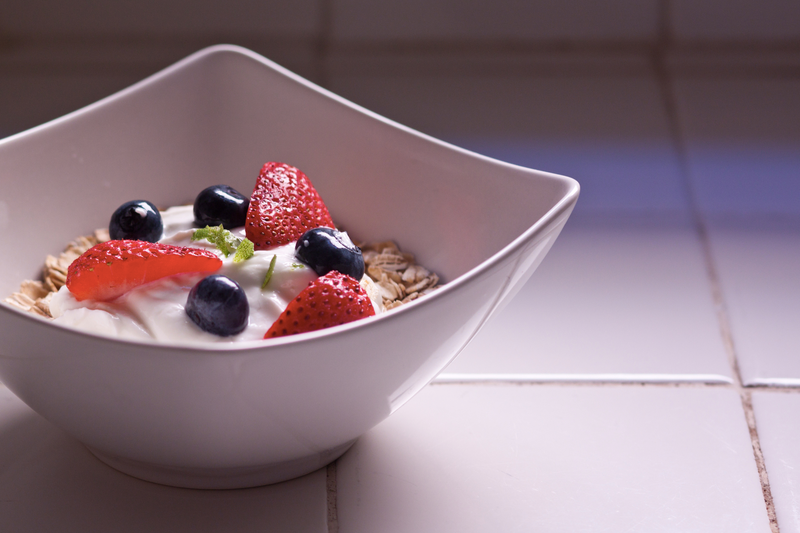 Throughout the world, we’ll find several different kinds of yogurt or yogurt-like products. Significant textural or taste changes can be made with simple tweaks in the preparation or fermentation process, and we’ll explore a few of these here. Greek yogurt has become ubiquitous in grocery stores over the past decade and is loved for its rich flavor and thick consistency. The secret behind its popularity lies in the straining step. Straining allows the liquid whey component of milk to drain away and also removes some of the lactose, leaving behind a product with reduced sugar and nearly double the protein when compared to its non-strained counterparts. Although not actually of Greek origin (its origins still remain unclear), this strained yogurt is also popular throughout the Middle East and Central Asia [1,2]. This slimy dairy product topped with mold may sound like a failed kitchen experiment, but is in fact a yogurt-like product held dear to many Scandinavians. Known as viili to the Finnish, långfil to the Swedes, or tättemjölk to those in Norway, this ropy milk product is so thick that it needs to be cut with a knife when served. The main culprit in viili’s ropiness is a mesophilic strain of lactic acid bacteria called Lactococcus lactis subspecies cremoris. During fermentation, this strain of lactic acid bacteria produces long strands of slimy sugars known as exopolysaccharides that create the characteristic texture and flavor profile of viili. On its surface, you’ll find a velvety layer of mold formed from G. candidum, which lends this dairy product fruity and savory notes. The mold also consumes lactic acid, reducing the acidity of viili, giving it a relatively mild acidic flavor. To make viili, you’ll need milk and a viili starter, which contains both Lactococcus cremorisx and G. candidum . Although not technically yogurt, kefir is a bubbly, mildly alcoholic, Russian-derived equivalent. 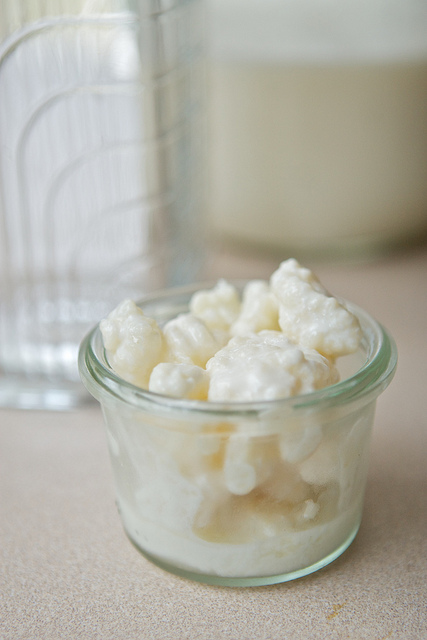 What distinguishes kefir from yogurt is that instead of relying solely on lactic acid bacteria for fermentation, it’s made from kefir grains, which are large cauliflower-like complexes composed of lactobacilli bacteria and yeasts. Kefir also sets itself apart from other fermented milk products in that its fermenting microbes exist in these relatively large, popcorn-sized ‘grains,’ instead of being evenly dispersed throughout the milk. While bacteria are busy converting a portion of the lactose into lactic acid, yeasts from the kefir grains also convert lactose into ethanol and carbon dioxide. The result is a tangy, yeasty, and effervescent beverage . Kefir boasts higher probiotic activity than typical yogurts, making it a fermented dairy product of choice among health enthusiasts. This national drink of Turkey is made by diluting natural yogurt with ice water and salt. Throughout Turkey, different regional variations of ayran exist, with the most well-known version originating from a town called Susurluk. In Susurluk, local variations of ayran are made from a mixture of cow, buffalo, and sheep’s milk, giving it a distinctive creamy and foamy quality. A notable feature of Ayran is its lower shelf-life when compared to other fermented milk products. Stabilizers are added to ayran to prevent the water and milk mixture from separating, but salt hinders the effects of stabilization . Now found all over the world and most notably in vending machines throughout Asia, Yakult is a probiotic drink that was developed in Japan. Japanese microbiologist, Minoru Shirota, was searching for a strain of bacteria that would benefit digestive and overall health. 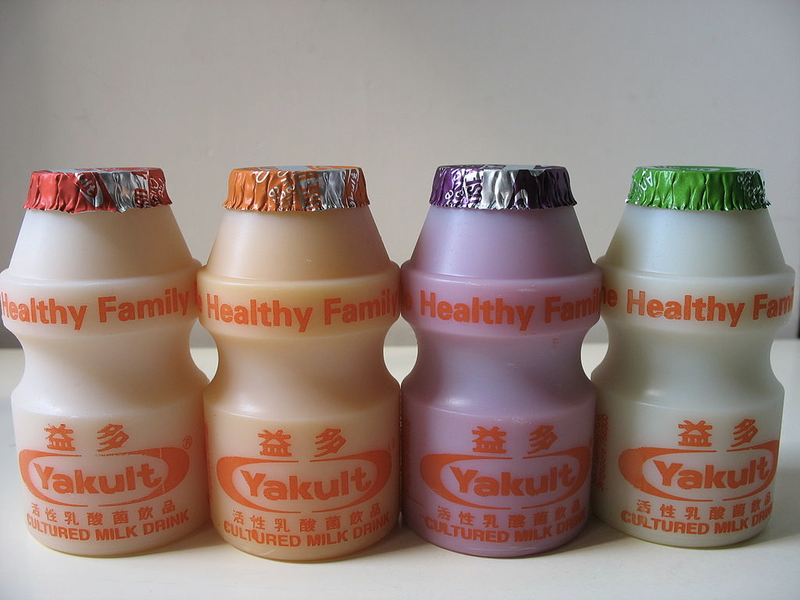 His work led him to Lactobacillus casei Shirota, which he cultivated and used to develop Yakult. Yakult is made from adding this unique bacteria strain to skim milk, water, and sugar, and is often enjoyed for its sweet and fruity natural flavors. As seen above, Yakult can also be found in several flavor variations as well. Cultured milks are a culinary marvel, especially when you consider how many different forms it can take. Head to the dairy aisle and try a new variation of yogurt, or why not attempt making some at home in your own kitchen? With all the different forms out there, you’ll surely find one you enjoy. McGee, Harold. On Food and Cooking. The Science and Lore of the Kitchen. New York: Scribner, 2004. Print. Lalime, Jennifer. “How to Make Greek-Style Yogurt“. The Feed. Salminen, Edith. “There Will be Slime“. Nordic Food Lab. Farnworth, E. R. Kefir—a complex probiotic. Food Science and Technology Bulletin. “Fame of Foamy Ayran Goes Beyond Borders“. Hurriyet Daily News. What is neither plant nor animal and whose size can span up to 1,665 football fields ? A mushroom! The visible part of a mushroom may seem small, but underneath the ground its’ mycelium, or threadlike reproductive organ, can cover an astounding amount of surface area. During the recent “Mushrooms: Fungi as Food” event, undergraduate student Elsbeth Sites discussed the edible, dangerous, and innovative parts of the mushroom. Attendees left with Back to the Roots® mushroom kits to try their hand at growing oyster pearl mushrooms. Belonging to the Fungi Kingdom, mushrooms are part of the Basidiomycetes phylum and have distinctive fruiting bodies (the part we see above ground). 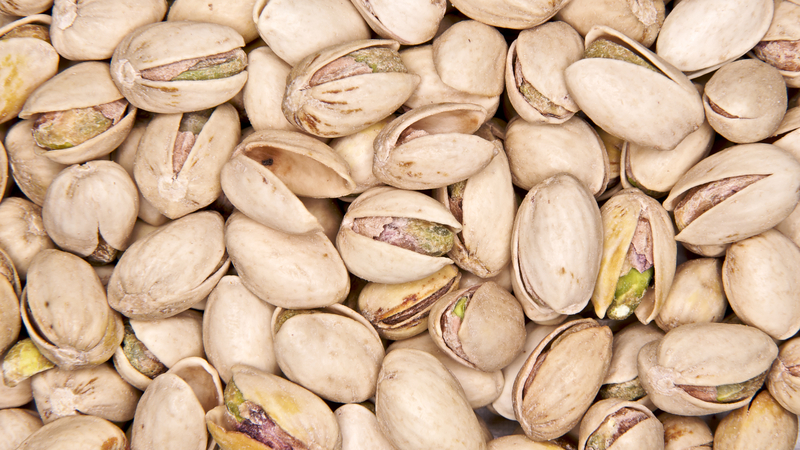 There are 16,000 species that make up this phylum and 10,000 are large enough to be food. However, do not get too excited and eat the mushrooms you see on the ground, as 10% of these species are poisonous and 30 types are lethal. 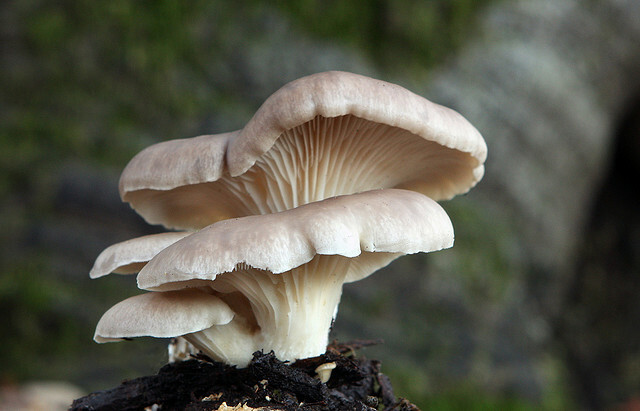 What contributes to a mushroom’s unique texture is the chitin that is contained within its cell walls. This substance is similar to keratin, which is found in crustacean shells. To put things in perspective, chitin from crustacean shells is often made into surgical thread because it is durable and resistant to pancreatic, bile, and urine enzyme degradation. It is also biodegradable as it breaks down naturally overtime . It is no wonder that mushrooms hold up well during cooking! This amazing fungus also boasts nutritional benefit: mushrooms are the only item in the produce aisle that produce their own Vitamin D. They can turn the vitamin D precursor, ergosterol, into vitamin D2 (ergocalciferol, an isomer of ergosterol) with the help of the sun’s UVB rays . In addition, shiitake mushrooms and white button mushrooms produce Interleukin-23, a cytokine that helps protect the host from gut pathogens and increases immunity and inflammatory response . Of course, some mushrooms can even produce hallucinations. Those of the genus Psilocybe contain the psychoactive ingredient psilocybin, which is a seritonergically-mediated hallucinogen that can cause sensory overload. This ingredient is so potent that in a research study where 36 participants received psilocybin, 58% reported their experience to be among the five most personally meaningful experiences of their lives . Mushrooms have a unique ability to decompose organic matter as well as environmental pollutants via bioremediation . Recently, this ability has been extended to “The Infinity Burial Project,” which is developing a mushroom spore filled suit to decompose dead bodies . Interestingly, the mushroom suit is proposed to remediate toxins in the human tissue, making it eco-friendly . 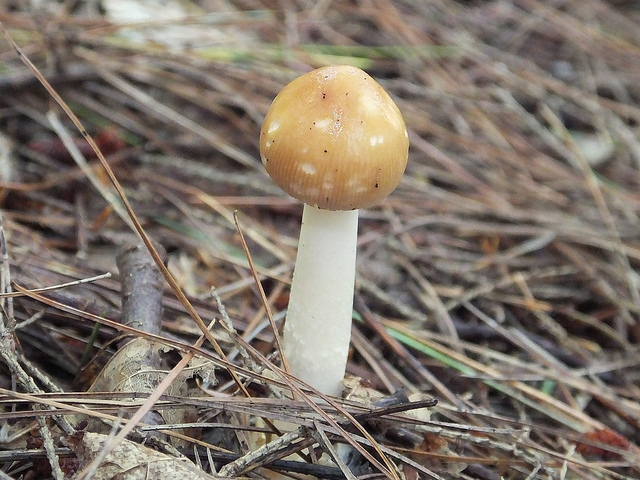 The small size of mushrooms is deceiving as different species have various abilities, such as production of nutrients, mind-altering substances, and/or decomposition factors. Who knows what other unique capabilities mushrooms have in store for the future! Strange but True: The Largest Organism on Earth Is a Fungus. Scientific American™. Nakajima, M., Atsumi, K., Kifune, K., Miura, K., & Kanamaru, H. “Chitin is an effective material for sutures.” The Japanese Journal of Surgery 16.6 (1986): 418-424. Web. Vitamin D in Mushrooms. USDA.gov. 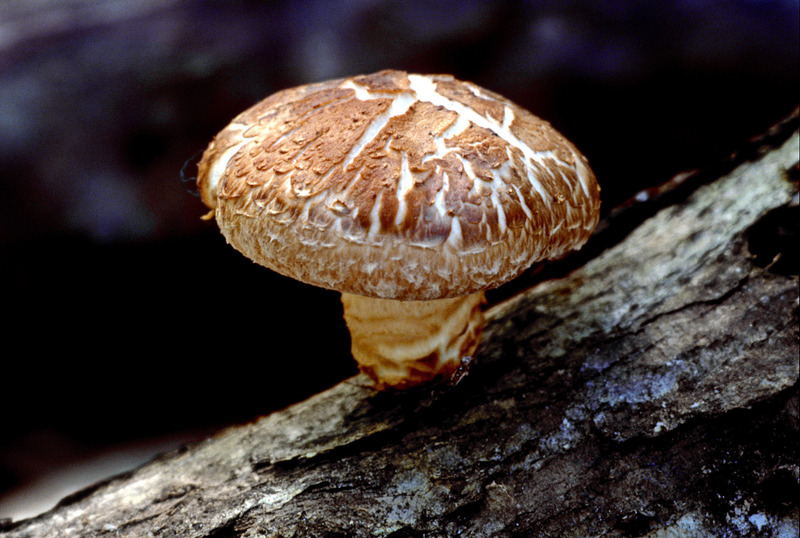 Chandra, L.C., Traoré, D., French, C., Marlow, D., D’Offay, J., Clarke, SL., Smith, B.J., & Kuvibidila, S. “White button, portabella, and shiitake mushroom supplementation up-regulates interleukin-23 secretion in acute dextran sodium sulfate colitis C57BL/6 mice and murine macrophage J.744.1 cell line.” Nutrition Research 33.5 (2013): 388-396. Web. Griffiths, R.R, Richards, W.A., Johnson, M.W., McCann, U.D., & Jesse, R. “Mystical-type experiences occasioned by psilocybin mediate the attribution of personal meaning and spiritual significance 14 months later.” Journal of Psychopharmacology 22.6 (2008): 621-632. Web. Tortella, G.R., Diez, M.C., & Duran, N. “Fungal diversity and use in decomposition of environmental pollutants.” Critical Reviews in Microbiology 31.4 (2005): 197-212. Web. Hunger may motivate eating, but a team of researchers recently investigated how hunger can influence people to hoard items that can’t be eaten. Thirsty for juice instead? It turns out that cold-pressing juice isn’t as beneficial as people may tout, due to the multitude of factors that go into how micronutrients are absorbed by the human body. 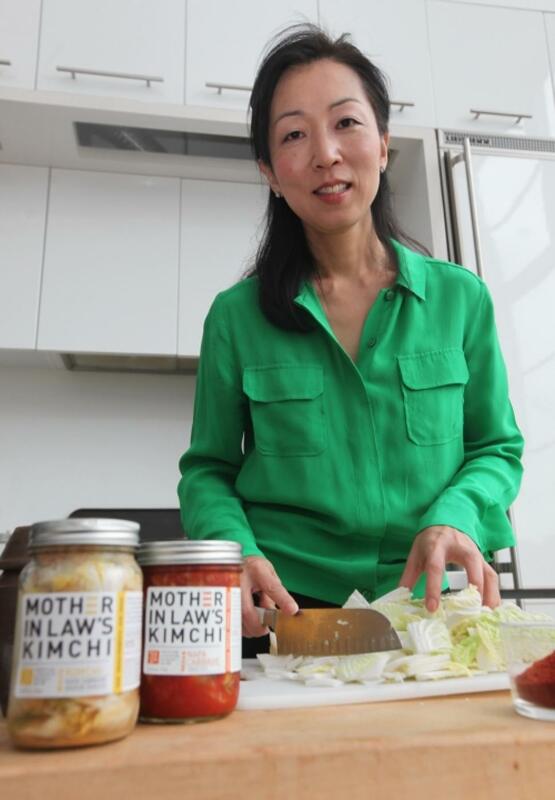 Lauryn Chun runs small-batch food business Mother-in-Law’s Kimchi and is the author of The Kimchi Cookbook. Chun revolutionized kimchi by bringing it out from the margins of traditional side dish-dom to center stage as a main course. My earliest childhood memories in Seoul, Korea – foraging for wild herbs and plants on walks with my grandmother, watching my grandmother and mother cooking in the kitchen gave me a sense of comfort in the kitchen. I loved all the aromas and witnessing how ingredients transformed into a meal and an event. It felt like magic for me as little kid. Creating a dish to feed the entire (extended) family formed a deep appreciation for food as a gift, nourishment and an event. Watching the initial state of lactic fermentation while making my first kimchi batch, witnessing the continuous state of change as kimchi ferments. The ‘exposion’ and bubbling of kimchi’s anaerobic state and pressure inside lids in jars that causes kimchi to expand with oxygen when opening – kind of like a fake toy snake poping out of a can. Watching the live active lactic bacteria fermentation in action. It is magical and there’s a reverence for nature’s ability to make food safe through lactic bacteria at its simplest state which is essentially salt (brine) and vegetable. I like simple foods and flavors with texture and taste that is balanced. I do think that kimchi is absolutely fascinating the way I think about balance of flavors and textures. By taking process of vegetable’s natural fermented state of acid (making its own vinegar) and flavors, it is akin to ‘cooking’ a dish to achieve a balance of flavors and textures. The latin word ‘fevere’ which is root of word ‘fermentation’ means to boil with foam – a perfect description of how live bacterias are working to break down the natural state without heat. When we are creating a dish in the kitchen, it is the flavors of adding acids and flavors to achieve a balance of taste that is pleasant in our mouth when we taste. Chemistry of taste and physiology of what we taste, our connectivity in brain that tells us something tastes delicious, balance of flavors, texture and desirability. I think my truly taking the time to taste foods is the best way to nurture ourselves and future generations eating foods for good health and ethics. Kimchi fermentation, soy sauce, cheese making, wines. I think it can go either direction of good, using science to have better understanding of natural unprocessed foods or bad with corporate profit and industrial scaling of production to manipulate nature through bio-engineered foods and seeds. My all time favorite ingredient would be yellow onions as they create such a base of flavor in every type of cooking. Favorite cookbook would be Marcella Hazan’s Essential Italian Cooking. Usually something savory like a poached egg and toast or healthy museli and definitely coffee. Lard Legacy: Does Your Diet Doom Your Child’s Health? Now you can feel even more guilt about how that greasy cheeseburger might affect your future. A study by the National Institutes of Health suggests eating a high fat diet may also impact your child’s health1. Growing evidence links increased caloric and fat consumption to the rise in immune-mediated diseases, like arthritis, food allergies, and inflammatory bowel disease2. These diseases result from abnormal swelling and inflammation that occur when the immune system produces exaggerated responses or reacts to false signals. 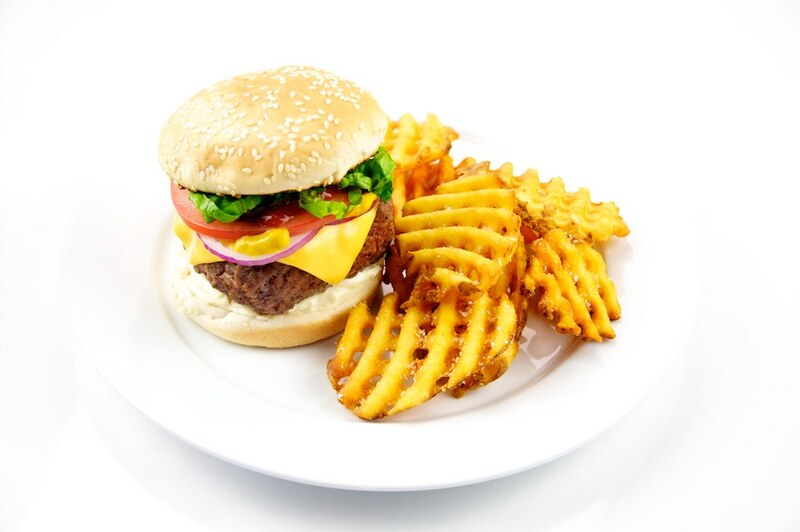 Studies suggest the high fat consumption typical of western diets may be responsible for confusing our immune systems. For example, dietary fats promote inflammation and trigger immune responses specific to bacteria3. Because much of this evidence is based on short-term or population studies, for this study, Myles and collaborators explored the longer-term effects of increased parental fat consumption on their offspring’s immunity using mice1. Specifically, scientists fed a high fat “western” diet to one group and a low fat control diet to the other. After giving birth, their pups were fed the control diet and exposed to a battery of tests examining their immune response. Compared to the control diet, the western diet had 10% more calories from fat, twice as many carbohydrates, and a higher ratio (as much as 15:1) of omega 6 to omega 3 fats. While both omega fats are essential, healthy diets contain a close balance (2:1) of the animal-derived omega 6 fats relative to the fish- and vegetable-derived omega 3 fats. While the mice pups showed no differences in weight or blood sugar, the pups whose parents had western diets surprisingly showed significantly lower immune function: these pups were less resilient to bacterial related disease. They had higher mortality rates from internal infections and more severe skin infections. Furthermore, their skin cells displayed a lower level of bacterial defense proteins. Additionally, their colons and spleens did not work as effectively. 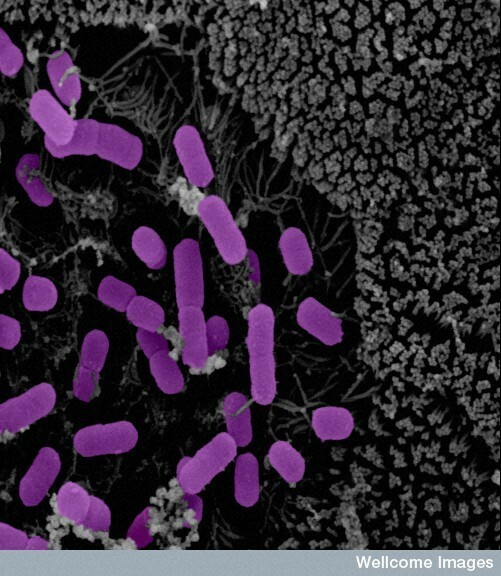 The colons of these animals, which are critical sites for developing the immune system, showed exaggerated inflammation when exposed bacterial toxins. Both their colons and spleens showed lower levels of immune cells and proteins. 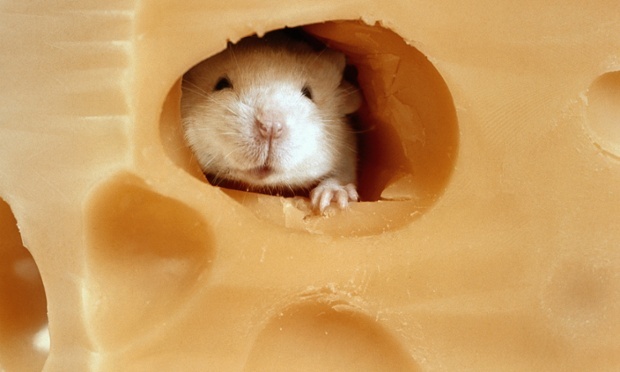 Interestingly, researchers suggest that the diet itself did not directly cause the compromised immunity of these mice. Instead, they conclude that the western diet negatively impacted their gut microbiome—the sum of all bacteria present in their gut. In follow-up experiments, pups fed the western diet showed normal immune function if their parents were fed the control diet. Furthermore, DNA characterization of mouse stool revealed that pups from parents on western diets had less diverse bacteria than control pups. Increased fat consumption may have changed available nutrients and limited the bacteria in the parents on western diets. Because mothers shape their offspring’s microbiomes during the birthing and nursing process, pups of parents on the western diet received less diverse bacteria. Therefore in follow-up experiments, the western diet did not affect the immunity of the pups whose mothers ate control diets, because they already had received diverse microbiomes. Changes in the microbiome may impact the immunity of the pups because of the “hygiene hypothesis”; this essentially suggests we have become too clean. Because we are not exposed to enough bacteria and other immune system triggers growing up, our immune systems don’t develop as extensively as those exposed to a more diverse range of microorganisms. The ‘hygiene hypothesis’ has been fueled by research showing that children in homes with more bacteria have lower asthma and allergy rates. A similar scenario was recapitulated for the immune compromised pups in this study. Final experiments with the mice showed that when the researchers raised pups from both parental groups in the western and control diet together, they both displayed similar bacterial diversity and immune function. By living with the pups with more diverse bacteria, the immune compromised pups exhibited increased diversity in their microbiome and negated the effects of their parents’ western diet. In other words, this result may suggest that even if you lived on a diet of greasy cheeseburgers, your kid’s may still have healthy immune systems if they are rolling around in the dirt with the kids whose parents stuck to their kale and whole grains! While this study is promising for the hygiene hypothesis, more research is necessary to understand this effect in people. For example, these mice had simpler microbiomes and diets than the average human. It is unclear how this complexity may change the effect for people. Additionally, while this study only looked at fat consumption, other factors such as genetics can impact microbiome diversity and the respective impact on immunity. In any case, assuming this research translates, it suggests eating a lean turkey burger now, may help save your kids from arthritis, food allergies, or inflammatory bowel disease in the future. Myles, I.A. et al. 2013. Parental Dietary Fat Intake Alters Offspring Microbiome and Immunity. Journal of Immunology. 191 (6) 3200-3209. Kau, A.L. et al. 2011. Human nutrition, the gut microbiome and the immune system. Nature. 474: 327-336.
https://sites.lifesci.ucla.edu/ibp-scienceandfoodnew/wp-content/uploads/sites/123/2015/06/5076301075_29f16bcccb_o.jpg 681 1024 Grant Alkin https://sites.lifesci.ucla.edu/ibp-scienceandfoodnew/wp-content/uploads/sites/123/2016/09/newlogoSm-2-300x31.png Grant Alkin2015-06-02 10:00:002015-06-02 10:00:00Lard Legacy: Does Your Diet Doom Your Child's Health?